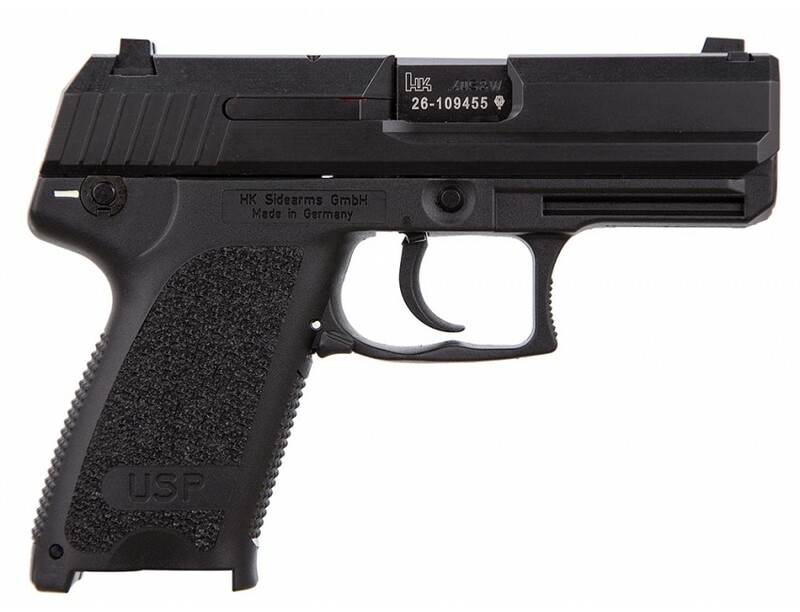 The HK USP (Universal Self-loading Pistol) is an accurate and ultra-reliable handgun. It utilizes a fiber-reinforced polymer frame stiffened by stainless steel inserts at areas subject to stress and friction. 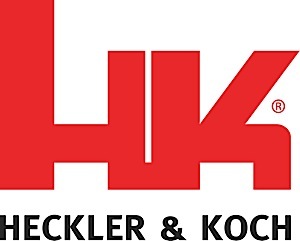 The control lever, a combination safety and decocking lever, is frame mounted and quickly accessible, unlike the slide-mounted safeties. 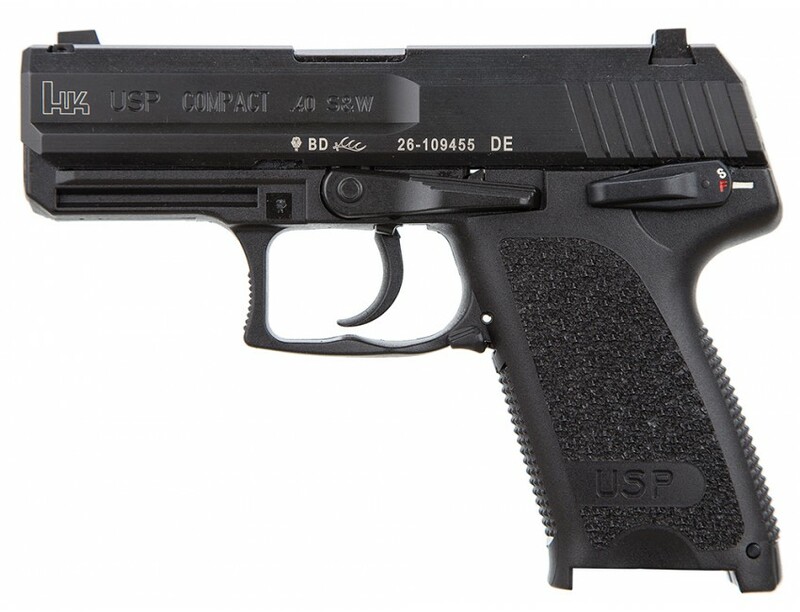 The modular design of the USP's internal components allows the control lever function to be switched from the left to the right side of the pistol for left-handed shooters. The USP Compacts are smaller and lighter than large frame USPs. The reduction in trigger reach and grip circumference increases concealability and enhances shooting ergonomics. It utilizes a narrow, full-hand grip frame with a choice of interchangeable extended or flush-fitting magazine floorplates. The USP Compact features a polygonal bore barrle, one-piece steel slide with contoured, extended release, bobbed hammer, universal mounting grooves, and ambidextrous magazine release lever.This V1 model has a black frame with blued slide, captive recoil spring assembly with polymer absorber bushing, fixed sights, and comes with two 12-round magazines.